This story was co-published by TIME. Amid historic re-enactors wearing tricorn hats and carrying muskets, more than 120 state legislators from all over the country pretended to overhaul the U.S. Constitution two years ago in Colonial Williamsburg, Virginia. But some believe the event was not just a history lesson. Critics say the Williamsburg get-together may have been a dress rehearsal for the real thing, and the implications of that could be both explosive and far-reaching. Since attending the mock constitutional convention, legislators in at least 27 states have proposed bills calling for an actual convention of states, a Center for Public Integrity review has found. Attendees from five states — Arizona, Illinois, Missouri, North Dakota and Texas — have already successfully passed legislation. And today, similar bills are pending in North Carolina, Pennsylvania, Ohio and New Jersey. There’s still a long way to go — but the prospect of a real constitutional convention no longer seems like just an abstraction. The mock convention in Virginia was the creation of two nonprofits operated out of the same office suite in Houston, Texas, run by the same man: Mark Meckler, co-founder of the Tea Party Patriots, an attorney and former Herbalife distributor. The two groups, Citizens for Self-Governance and Convention of States Action, paid at least $130,000 combined for 81 of those lawmakers to attend the trial run. Convention of States Action also promotes model legislation, provides citizen toolkits and lobbies state legislatures to promote a convention of states. Meckler declined to discuss the groups’ finances. 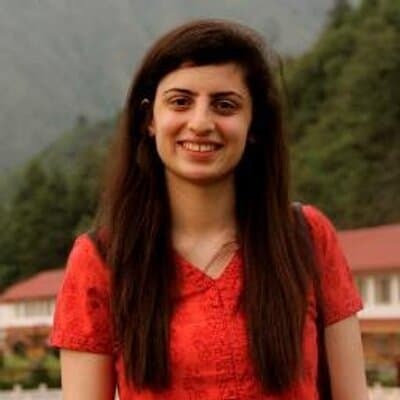 But both organizations have been growing financially, albeit from largely secret benefactors, according to their tax records. Citizens for Self-Governance, also known as the John Hancock Committee for the States, collected more than $4.2 million in 2016, quadrupling its revenue since it began six years earlier. The conservative Mercer family that helped underwrite Donald Trump’s presidential campaign has donated at least $500,000, according to a Center for Public Integrity analysis of tax records. The Greater Houston Community Foundation, a donor-advised fund that doesn’t need to disclose its funders, has contributed more than $2 million to the nonprofit, too. Convention of States Action raised just under $122,000 in its first year in 2014, but in 2016 that amount shot up to almost $5 million, in part after one mystery donor gave just under $1.7 million. The two groups are helping keep lit a slow-burning fuse of what could be an explosive movement for the United States. Thirty-four states are needed to call for a convention that critics say could upend the Constitution. Only six more are needed for a meeting to curb national debt, but other topics are also being pursued with varying success. Lawmakers who attended a mock constitutional convention in September 2016 have introduced bills to seek a real convention in the following states. Only passed or pending bills are included. The last time a convention of states occurred was more than 200 years ago. The Founding Fathers scrapped the existing government. They created the U.S. Constitution and the means for future revisions: They wrote that Congress “shall call a convention” for proposing constitutional amendments if two-thirds of the states demand it. Any amendments must then win approval from 38 states to be enacted, so advocates say it’s unlikely that the process could lead to any divisive changes. Yet critics still worry that the process could destabilize the country. Meckler told the Center for Public Integrity the September 2016 mock convention was a strictly educational, nonpartisan event, not designed to advocate for a convention, nor to motivate people to author legislation, nor to push the movement forward. But some critics don’t see it that way, and Meckler’s own words in Williamsburg raise questions. In a speech, he told the delegates they had proven that the country was now ready to hold a convention of states. Stephen Spaulding, head of strategy and external affairs for progressive nonpartisan watchdog group Common Cause, believes the groups were buying influence with those they flew out to the meeting. And it was indeed a catalyst for some attendees. 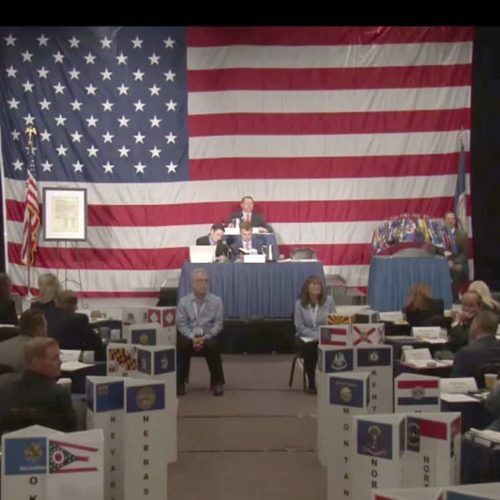 State Sen. Norman Sanderson, R-N.C., said the mock convention in Virginia was a turning point in his decision to sponsor a bill this year calling for a convention. “What I saw in Williamsburg took the fear I had away,” Sanderson said. Most supporters of a convention of states say the process is necessary for states to wrestle power back from Congress and the courts. They say enough checks and balances exist to prevent chaos, especially since the Constitution notes that three-quarters of all states must ratify any amendments proposed at a convention. But this has not quelled fears from both Republicans and Democrats that the whole Constitution could be up for reconsideration. They say that the Constitution does not provide clear guidance on how such a meeting would work, so having such a get-together might be like opening Pandora’s box. Republican skeptics mainly worry that gun rights enumerated in the Second Amendment could come under siege. Democrats are concerned largely about how constitutional tinkering might affect issues like abortion and immigration. This has led to a common agenda opposing a convention among strange bedfellows: progressive groups such as Common Cause and right-wing groups such as the John Birch Society and the late Phyllis Schlafly’s Eagle Forum. On the other side, the movement for a convention of states has won major endorsements from Republican leaders and conservative personalities across the country, including U.S. Sen. Marco Rubio, Texas Gov. Greg Abbott and Fox News’ Sean Hannity. To be sure, though, the 2016 mock convention in Virginia wasn’t the origin of this movement. The Center for Public Integrity’s analysis found that attendees had already sponsored similar bills in at least 15 states, even before their arrival. For years, national groups such as American Legislative Exchange Council have been holding workshops and crafting model legislation to gain support from state legislators across the country. In fact, the calls for a convention of states began decades ago — as did efforts to reverse them. Between 1957 and 1983, 32 states passed a call for a convention to discuss a balanced budget. Yet 16 states canceled their calls for a convention between 1988 and 2010, after intense lobbying from Democratic and Republican groups alike. Just in the last two years, Delaware, Maryland, New Mexico and Nevada have reversed their call for a convention of states. 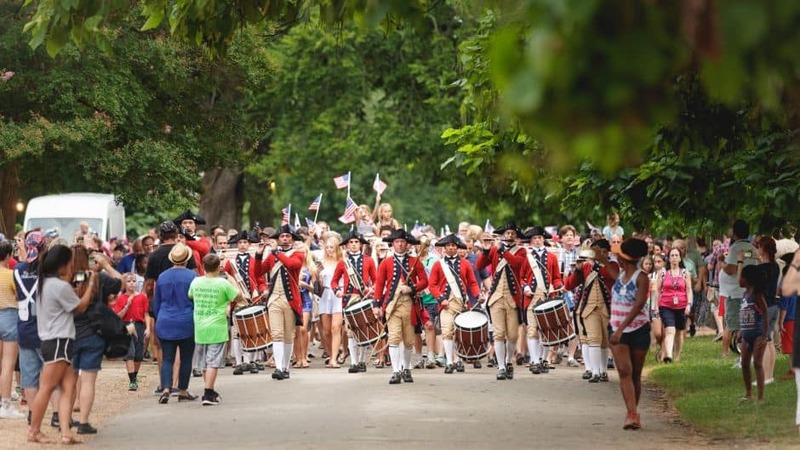 At the 2016 mock constitutional convention, legislators from around the country saw historical re-enactors such as the Colonial Williamsburg Senior Fife & Drum Corps, pictured here on July 4, 2017. Convention of States Action has been pushing for a convention of states resolution that goes way beyond the scope of most existing efforts. While 28 states have calls out for a convention to discuss a balanced budget amendment, it seeks similar fiscal restraints but also additional limitations on federal powers. At the mock convention, lawmakers agreed upon six specific amendments. One would set term limits on Congress. Another stated that public debt shall not be increased unless two-thirds of each chamber of Congress allows it. A third would give states the power to override any federal law, regulation or executive order with a three-fifths vote. Meckler has said the federal government has overreached far beyond the narrow powers given to it by the founders, and a convention is the best way to have a “radical, reasonable, nonviolent revolution” to fix it. In the last three years, this broader convention of states resolution has passed in at least 12 states: Georgia, Alaska, Florida, Alabama, Tennessee, Indiana, Oklahoma, Louisiana, Arizona, North Dakota, Texas and Missouri. At least five of those calls came from legislators who attended the mock convention. For bills to count toward the necessary 34 applications, they historically have had to seek the same amendment to discuss at the convention. Critics worry, however, that the Constitution says nothing definitive on how to count calls, and so it’s unclear how states that passed a balanced budget resolution would affect the equation. Even so, all 12 states that currently have an active call for the broader limited government agenda have already passed a balanced budget bill. To implement Meckler’s vision, Citizens for Self-Governance and Convention of States Action paid “travel or entertainment expenses” that ranged from around $1,000 to $3,400 for 81 of the legislators who attended, according to the groups’ 2016 tax records. “Our organization employs both accountants and attorneys to ensure we always comply with all applicable laws, rules and regulations,” Meckler said. It was not clear if about 40 other lawmakers paid their own way to the event. In total, the mock convention was attended by 137 people, including more than a dozen academics, former legislators and businesspeople, according to Convention of States Action. 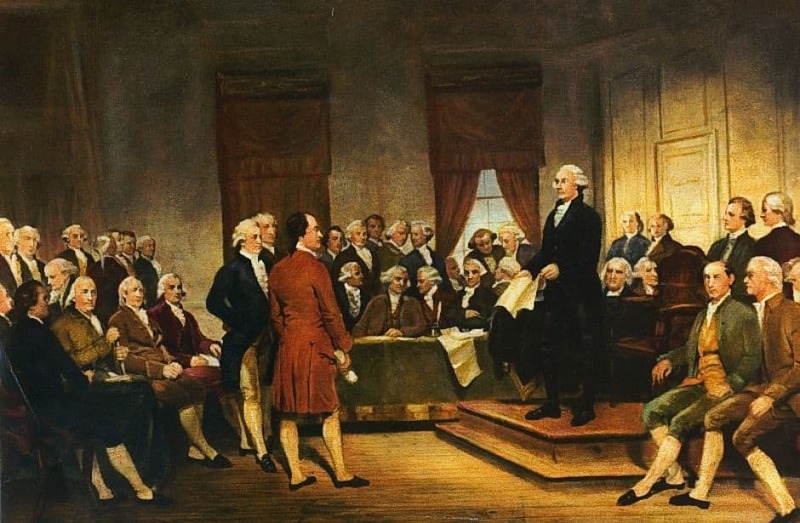 The original constitutional convention of 1787, featuring George Washington and other Founding Fathers, as painted by Junius Brutus Stearns in 1856. The Williamsburg meeting also had its share of pomp. Drum corps marched down the street in Colonial Williamsburg. Men dressed as Patrick Henry and James Madison welcomed lawmakers to the historic district. State lawmakers spoke about their ideas over dinner at a tavern, noting that the Founding Fathers would have done the same. “We felt the essence of the founders there,” said state Rep. Kelly Townsend, R-Ariz., who successfully passed legislation calling for a constitutional convention after the mock convention. She had sponsored similar bills in 2014, 2015 and 2016, but they had failed every time. She also downplayed the concerns about a runaway convention. “There’s no way mathematically for that to happen. There’s so much protection,” she said, noting that neither Republicans nor Democrats have a majority in more than 38 states — the number needed to ratify any changes to the Constitution. Not everyone who attended has been successful, though. State Rep. Tom Loertscher, R-Idaho, failed to pass a similar resolution after returning from the simulation in Virginia. Loertscher said he might have introduced legislation, even if he had not attended the event, but it made him more determined to try. State Sen. John Eichelberger, a Republican from Pennsylvania, still has a distant chance of passing his bill calling for a convention this session. Eichelberger said the mock convention gave him a greater sense of urgency to sponsor legislation — and showed him what could be possible. “It’s not something far-fetched or difficult to do,” Eichelberger said. Although it was mainly conservative lawmakers who attended the mock convention, not all attendees had the same political views. South Dakota Senate President Pro Tempore Brock Greenfield returned home only to vote against a resolution calling for a convention of states in 2018. However, just five years earlier, the Republican had co-sponsored a bill that called for a convention. Greenfield did not respond to multiple requests for comment. State Sen. Joan Carter Conway, from Maryland, was one of a few Democrats present at the mock convention. But instead of proposing a convention that focused on limiting federal powers, she proposed legislation in 2017 for a convention to change voting rights and campaign donation regulations. It failed. Conway did not respond to multiple requests for comment. A handful of other states, including Vermont, California, New Jersey, Illinois and Rhode Island, have passed similar resolutions to Conway’s — all backed by a left-wing group called Wolf PAC, a California-based political group created by The Young Turks online host Cenk Uygur. Its aim is to overturn the U.S. Supreme Court’s decision in Citizens United v. Federal Election Commission that allowed corporations and unions to spend unlimited amounts on political campaigns. At least one state effort is bipartisan. Democratic state Rep. Bill Patmon, from Ohio, co-authored a pending resolution with Republican state Rep. Christina Hagan after both attended the simulation. Patmon was the only Democrat of 12 lawmakers to put his name on the legislation, which focuses on restraining federal powers. Neither responded to the Center for Public Integrity’s requests for comment. Although the mock amendments that Patmon’s fellow attendees ultimately agreed upon have no real-world impact, they still worried critics. Some worry the amendments could give states the ability to just ignore federal laws and Supreme Court rulings if they do not agree. In a memo, Common Cause wrote that the proposed changes also would “drastically alter” the federal government and jeopardize “needed programs,” including Social Security, Medicare and Medicaid. Even though some argued the event was only educational, it still influenced the lawmakers in attendance into a “sense of false confidence that the actual convention would be safe,” according to Super, the Georgetown University law professor. But it’s that personal stake that legislators such as Sanderson, the North Carolina state senator, found so inspiring. He said his bill does not appear to have enough votes in the House. He said he plans to try again next session, if he gets re-elected in November. He is convinced that if he took those who oppose the bill to an event like the one he went to, they, too, would overcome any hesitation. “We may need to have another mock convention,” Sanderson said.